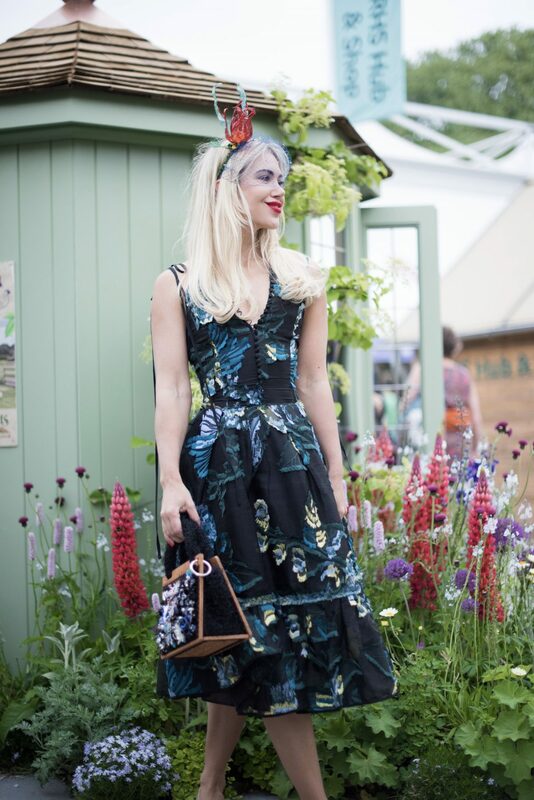 Whether you’re headed to the Chelsea Flower Show or just enjoying a leisurely picnic surrounded by the exotic bouquets of Richmond Park’s Isabella Plantation, you don’t need to leave the Big Smoke to enjoy exquisite floral displays right on your front doorstep. While we Londoners are absolutely spoilt when it comes to accessible green spaces, Richmond Park has got to be one of our city’s finest examples. 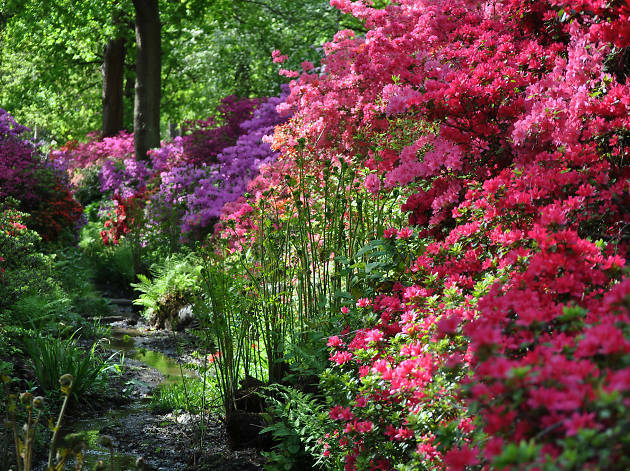 From it’s sweeping, deer-speckled pastures, to the extravagant, rainbow-hued floral displays throughout the Isabella Plantation. 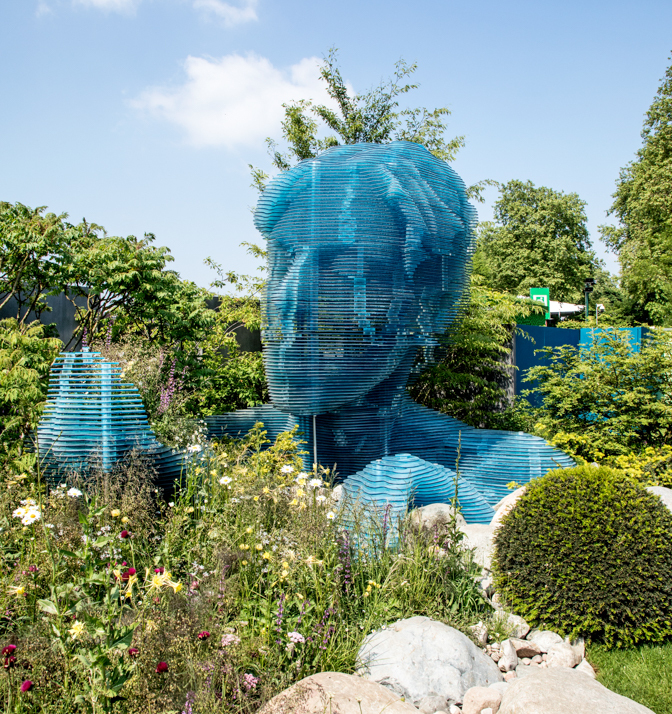 Running through till Saturday, The Chelsea Flower Show is the most prestigious of its kind, and it’s become a world leader in contemporary garden design. 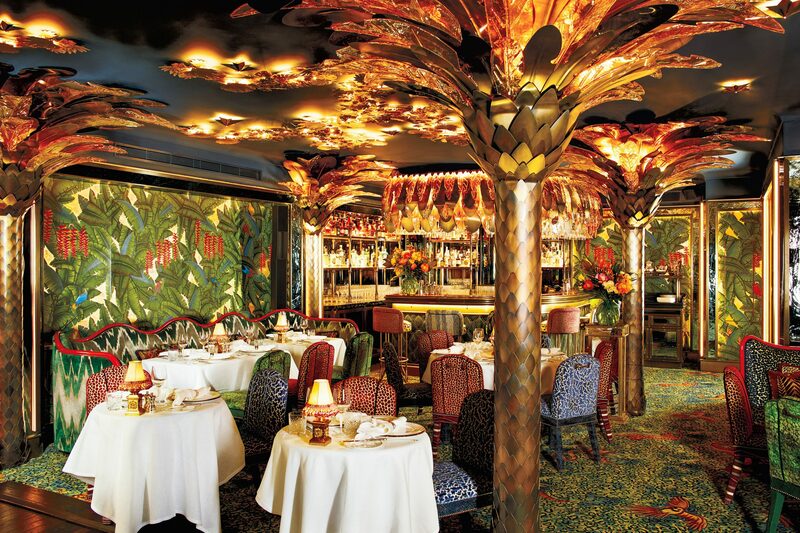 Located on King’s Road, The Ivy Chelsea Garden brings the familiar luxury of The Ivy to a relaxed yet sophisticated all-day dining restaurant. 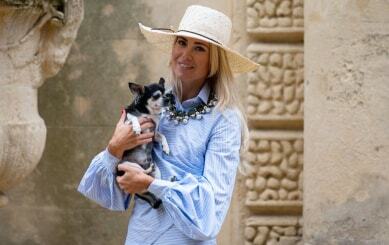 The al fresco terrace includes extensive gardens and a beautiful orangery. 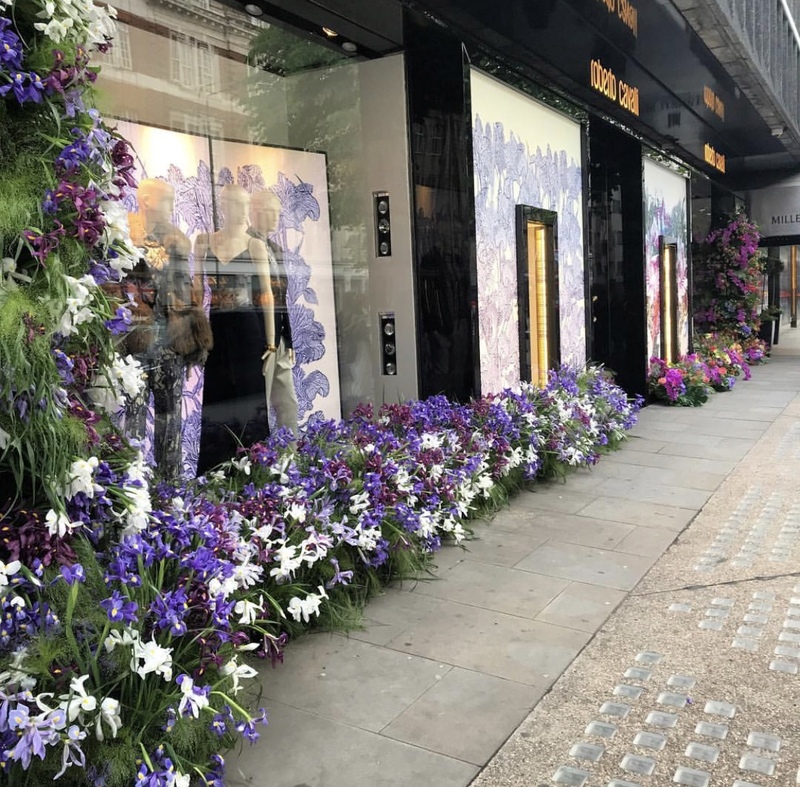 The shoemaker’s famous Sloane Street store has recently been given a fabulously floral makeover. Head over to see their extravagant façade and window displays, and pick up a pair while you’re at it! 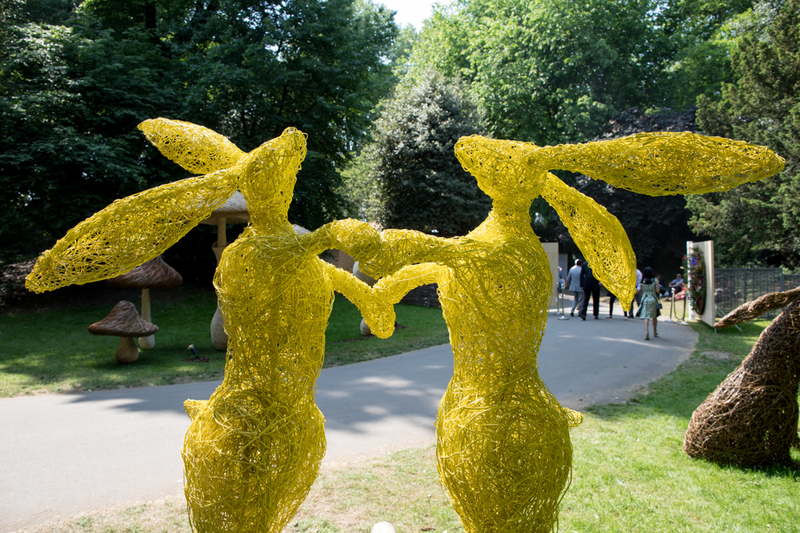 Nothing beats a day trip to Kew during summer months. 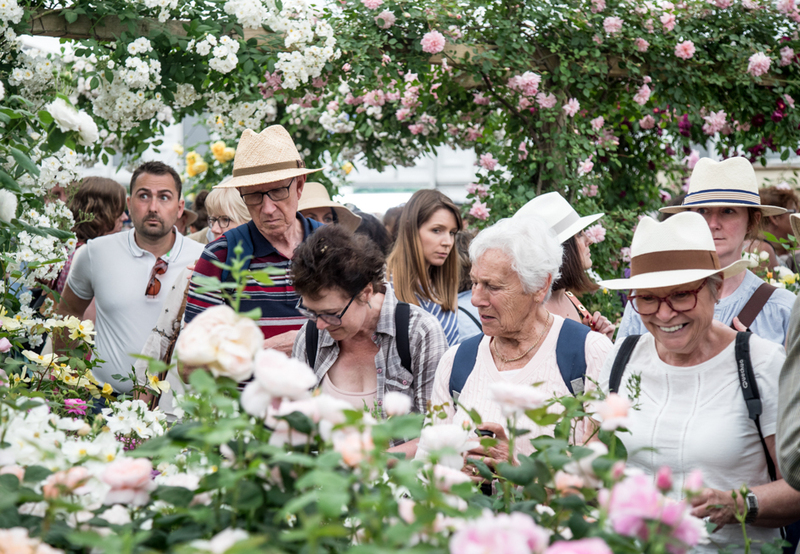 Not only are the flowers in full bloom, but the garden’s temperate glasshouse – the largest of its kind in the world – has recently been restored and reopened with over 1500 of the rarest plant species on Earth. Flooded with natural light, which streams though elegant double-height windows, this beautiful botanically inspired room is almost dream-like upon arrival. The walls are adorned with Pierre Frey silk, stitched with blooming cherry blossom and a series of Maison Gau wall panels, embellished with thousands of hand-made ceramic flowers and vibrant jewel appliqués. Another of London’s finest parks, Hamspead Heath offers tranquil walks, nature and exquisite flowers right in the heart of London. 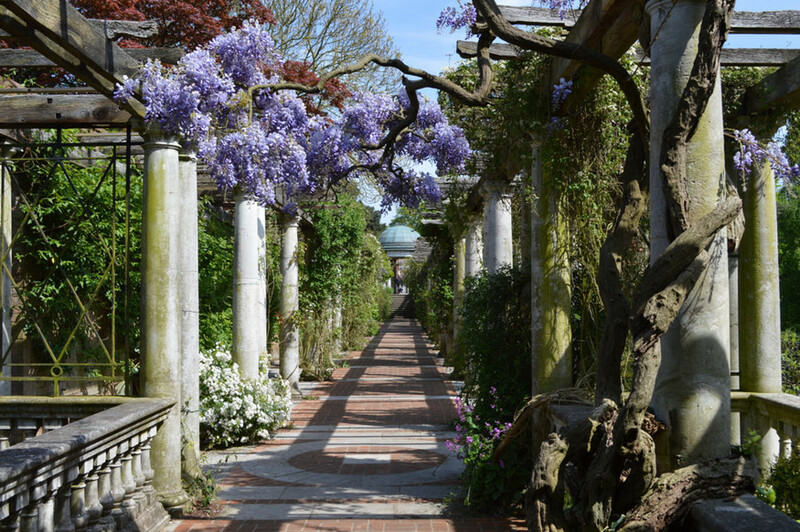 The Pergola is renowned for its wisteria at this time of year.